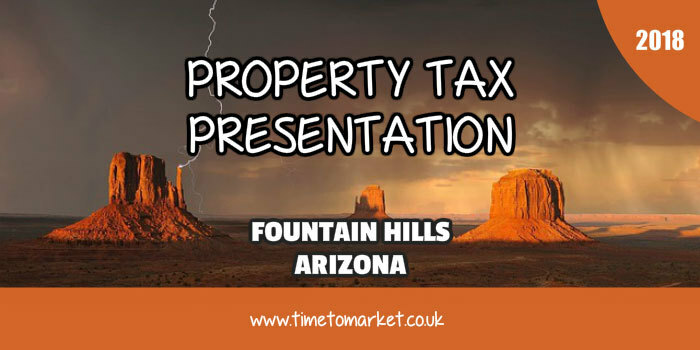 A property tax presentation in Fountain Hills, Arizona has proved taxing. Very taxing. In fact it’s actually painful to watch. The property tax presentation was prepared by the Town Council for all the right reasons. Therefore, the motivation behind this tax presentation is pretty clear. 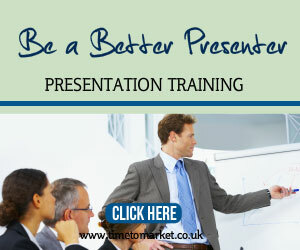 There’s no doubt that a presentation can help the Town Council. But, the problem is, that’s the only thing that is clear. Because things looked grim from the start of this presentation. Well, actually that’s not quite true. Since we really liked the title slide. So, the second slide onward just went downhill. We like to see one point on each slide. However, the Town Council in Fountain Hills prefers to make several points. Or a multitude of points on each slide. This was a shame. Because the property tax presentation structure appeared fine. We had a summary of the main expenses. These were labelled, “Major Expense Drivers”. Then we saw the numbers for employee costs, both absolute and comparisons. These were good and certainly helped our understanding. The 10 year financial projections were clear to understand. But they were quite dull. Really quite how realistic anyone can be about a ten year projection is totally another matter. Ten months counts as a good forecast in some organisations. So the graphs and tables appeared to derive from Microsoft Excel. And that, perhaps, explains their dullness. Poor colours, indistinct point gradations and odd legends. That’s often the mark of a PowerPoint presentation driven by MS Excel. But if we could just about bear the tables and the graphs it all changed when we came across “issues”. Because here we had two slides with a whole series of bullet points. 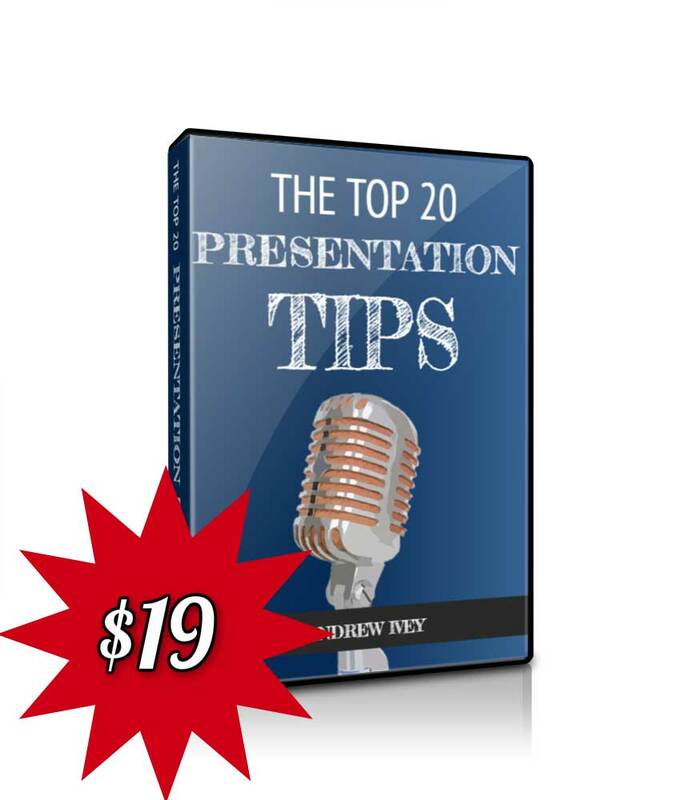 The trick with any PowerPoint presentation is to provide the detail that you need to help your audience understand something. Probably something that’s important. But with these two slides we simply had a data dump. Too much data and no rationale. We suspect that each single bullet point could well have proved a slide in its own right. They looked important. But there was too much to take in. The municipal tax rate comparisons also failed. The idea was good. Because the audience definitely wants to know whether they live in a high tax district or otherwise. But, once again we had simply too much data and not enough information. The slide titled, “Where Your property Tax Dollar Goes” was near ridiculous. Because the five slices of the dollar bill did not appear to tell the full story and the corresponding text was so distinctly small as to be non-existent. So, there has to be some reason that we tend to use a pie chart. That’s because they are very easy to explain. We loved slide 27. “Questions?” At last, the chance for some serious audience engagement. But the lack of earlier explanation might well preclude questions. Could this property tax presentation be done better. Yes, of course. In earlier years we’ve looked at the efforts of Monmouthshire County Council and their council budget presentations. These proved informative and engaging. So, the challenge for Fountain Hills is to present less data, more information and explanation. They have a serious problem to solve in six weeks time, so let’s hope they all rise to the challenge. 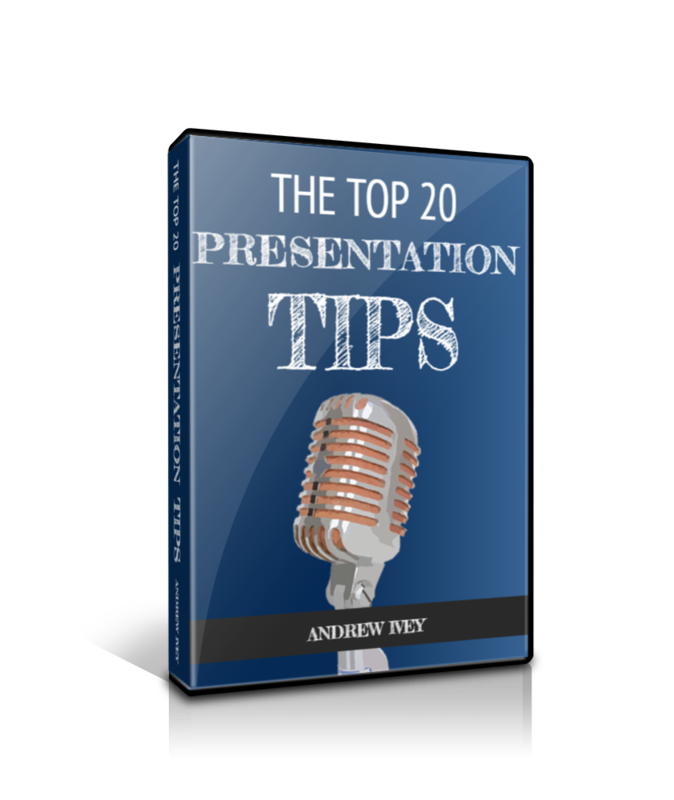 You can discover a series of presentation skills tips with Time to Market posts, podcasts and videos. 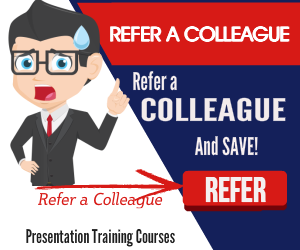 And, of course, when the time is right to boost your own presentation skills, please don’t hesitate to get in touch about training or coaching.